Between the end of most of Cadillac’s sedan offerings and the launch of the underwhelming XT6 crossover, things were looking dreary at the American luxury brand. But now we get an exciting surprise in the reveal of the 2020 Cadillac CT5 sedan. It’s a clean, and arguably conservative-looking sedan, but there are a number of things that have us intrigued. The sedan is clearly the CTS replacement, since the name falls just below the flagship CT6 sedan. 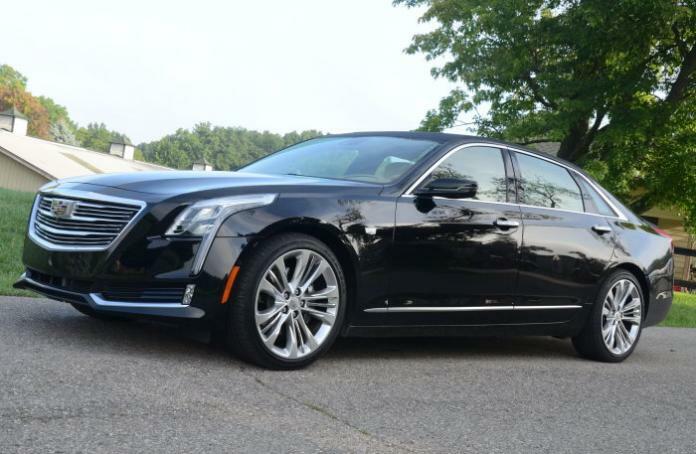 Under the hood are two familiar Cadillac engines, a 2.0-liter turbocharged inline-4 and a twin-turbo 3.0-liter V6. Power numbers haven’t been announced, but expect each to make similar power to the current CTS: 268 horsepower and 295 pound-feet of torque for the four-cylinder and 420 horsepower and 430 pound-feet of torque for the V6. Rear drive and all-wheel drive are available, and both engines get a 10-speed automatic transmission. The car also adopts the trim level scheme introduced by the XT4 and XT6 crossovers, which means there are just two choices, Sport and Luxury. The Sport model, pictured in gray, has a more aggressive front fascia and dark taillights, while the Luxury model, shown in burgundy, has a more demure appearance and classic red taillights. We only get a glimpse of the interior, and it shows the latest electronic gear shifter shared with Cadillac’s recent crossovers, along with a physical knob for interacting with the infotainment system. Cadillac announced that the car will make its public debut at the New York Auto Show, and it will be built at the Grand River factory in Lansing, Mich. We expect to get more details and images of the car when it’s revealed at the show.